The Aces – The Soundhouse, Dublin: 17th November 2018. 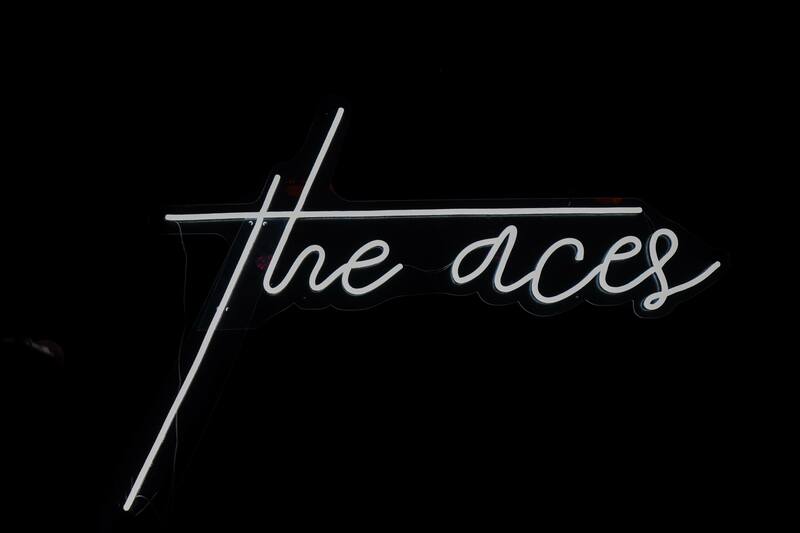 The Aces are an American alternative all-female band from Provo, Utah. 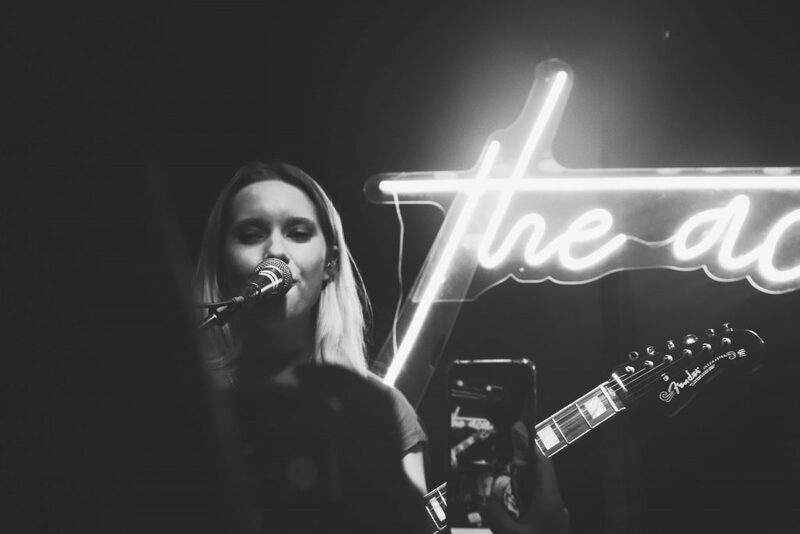 The band comprises of four members: guitarist Katie Henderson, bassist McKenna Petty, and sisters drummer Alisa Ramirez and lead vocalist and guitarist Cristal Ramirez. The Aces are a soft rock, chill and groovy band. They’re pretty much an ’80s pop classic rock undertones band revolutionised, they will most likely remind you of HAIM, their songs are also reminiscent to Paramore too. I think its the mix of modern pop and old retro vibes that gives this band a very sui generis touch. For me, they share the same kind of beats and laid back chill yet funky style of music. 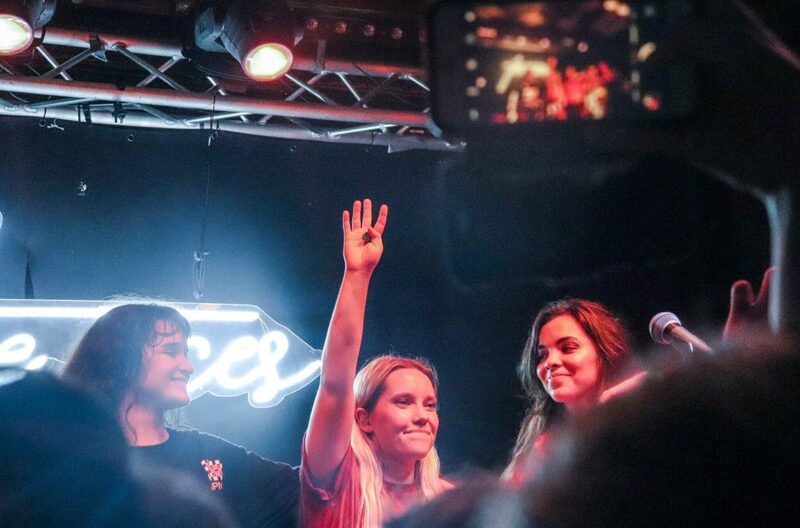 The Aces have grown a huge fanbase after they supported 5 Seconds of Summer this year, now they’ve taken their own tour across Europe with an even bigger fanbase. The lead singer, Cristal Ramirez, has a remarkable and electrifying stage presence, with strong vocals, she was going side to side of the stage constantly. She truly had an intimate and heartfelt touch towards the audience for each and every performance throughout the night. They flowed really well on stage and as musicians, but that’s no surprise as they have been making music together for 10 years now. The buoyant guitar notes and punchy drum beats in the back gave the band an overall great sound. They were actually how they sound on their albums. I had been following them on Spotify and online watching live performances of them as they got more and more recognition, I knew they would be good but they honestly surpassed my expectations. My favourite performance had to be ‘When My Heart Felt Volcanic’ this song is fire. The songs on the night were just as upbeat and catchy as I remembered, they gave off a high energy performance with iconic guitar riffs and drumbeats. It’s no surprise they’re selling out the majority of the dates on their tour. If you’re looking for a new band to follow, this Utah quartet should be the next band to listen to because they’re just going to keep getting bigger and better.